Humana has some really attractive bonus options going on right now! Reminder: Any group that meets the definition of a valid group can be issued as a one life group year-round, however, BCBSIL does have participation requirements (70% after valid waivers). Please contact Jennifer Clow or Nicole Cardenas if you have any questions. Considering an off anniversary plan change or anniversary date change with BCBSIL? Click here for the submissions deadline schedule for the 2019 plan year. The 2019 Retail Market Special Enrollment Period (SEP) is now in effect. Producers and subproducers must complete 2019 SEP training to receive commission on all sales for the remainder of the year. Review the linked slide deck and follow the affirmation instructions starting on page 38. When your affirmation successfully posts, you will receive a Success page with "Your confirmation number is 1-109xxxxxx". Please email us a print screen of your Success page for our records. Bonus Program extended to 6/30/2019! BCBSIL 2018/2019 Medicare Supplement Plan Bonus Program kicked off December 1, 2018 and ends June 30, 2019. Two payouts before Summer. This is a tiered bonus program which starts with only 10 policies sold during the 7 month period. As you reach tier levels at 21, 31 and 50 policies, your per policy bonus increases for all policies sold within the bonus period allowing you to earn up to an additional $85 per Medicare Supplement plan sold.. 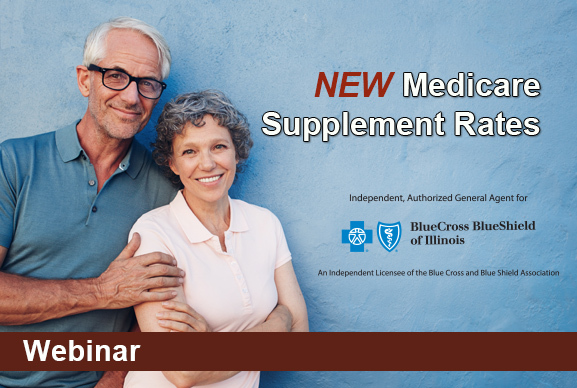 The 2019 new business rates for BCBSIL Medicare Supplement insurance are now available. 2019 rates are effective April 1, 2019. Rate changes to current members will be applied on their first billing date on or after April 1, 2019. Links for the 2019 Renewal Rate card and BCBSIL Rate Stability flyer. Member notices have started to mail. LTCi Personal Training - 3 GEN CE applied for! Ron Cohen, LTCP, Resource Brokerage’s specialist in Long Term Care insurance, is now offering a free sales training program that will train you on how to become a successful LTCi specialist. Very limited class sizes- I'm ready to know more. Exciting News for all LTC certified brokers in IL! We have the only carrier offering Level Premium Term Life coverage for up to 40 years! A+ Rated, HIGHLY competitive, plan series now comes in durations of 10-, 15-, 20-, 25-, 30-, 35- and 40-years! Best of all, this plan is available on a very short electronic application, abbreviated tele app or via traditional paper. Call Tom Merrion at 847-598-0032 to discuss the product or for case design assistance. The Case Manager manages the work flow of insurance quotes throughout the application and underwriting process through to policy issuance. Skills Needed: Much of the work is focused on the use of technology to produce results. Thus the appropriate candidate should be very familiar with Microsoft Office, database management, and navigating carrier websites. Our busy office requires a pleasant personality with excellent verbal and written communication skills which is necessary while working with the brokerage community, carrier staff, internal agency marketing and co-workers. Walk through the Income Protection Calculator with the consumer. If you presently sell Life Insurance, Mutual of Omaha has an ideal cross-sell campaign for you. Mutual of Omaha’s DI Marketing Solution Center campaign has everything you need to get started including: email template, banner ads, promotional text and even a customizable flyer.